Here are just some of the testimonials that our beloved customers left us. A big thank you to all of them! 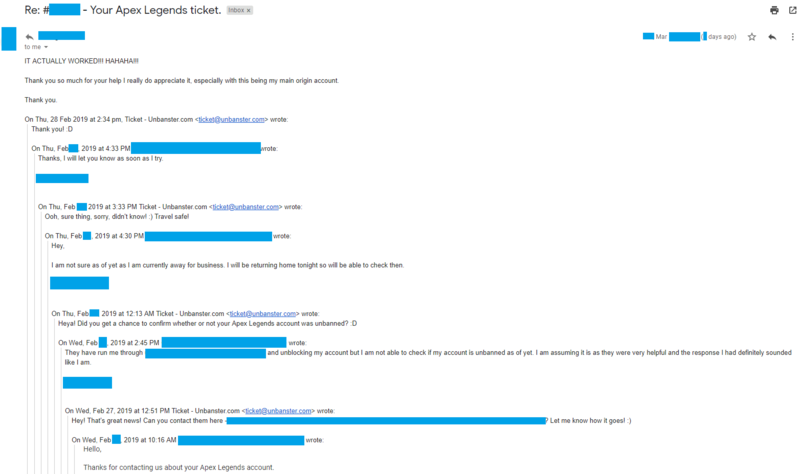 Since we care about our customers’ privacy, we’ve censored their names, except for the ones on forums, which are already public. Apex Legends permanent ban removed! LoL Toxicity Permaban Changed to 2-Weeks Suspension! 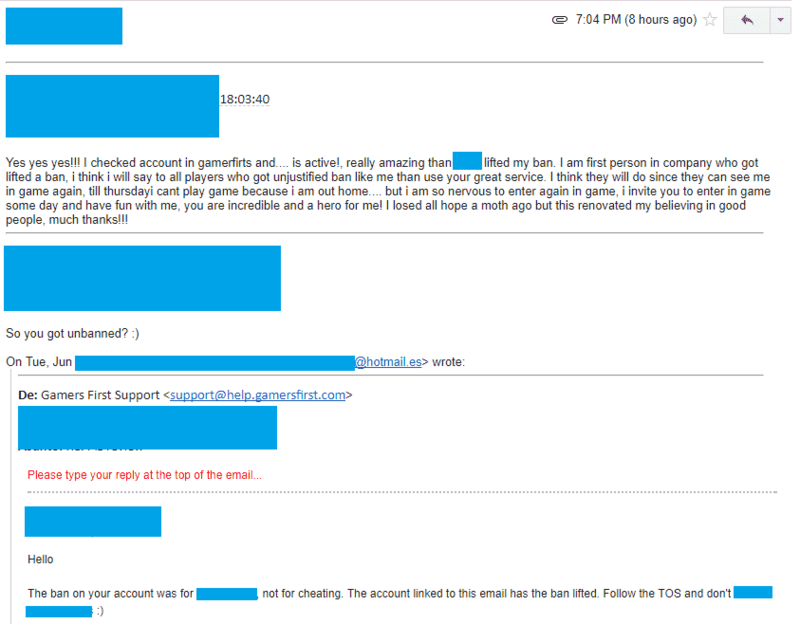 League of Legends: unbanned from a permanent toxicity ban! LoL Permaban changed to 2 weeks! 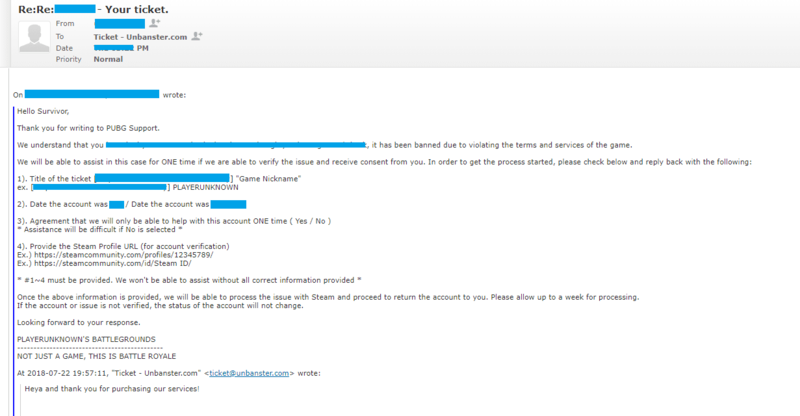 LoL permanent ban overturned to 2 weeks! LoL Toxicity Permaban change to 2 weeks! 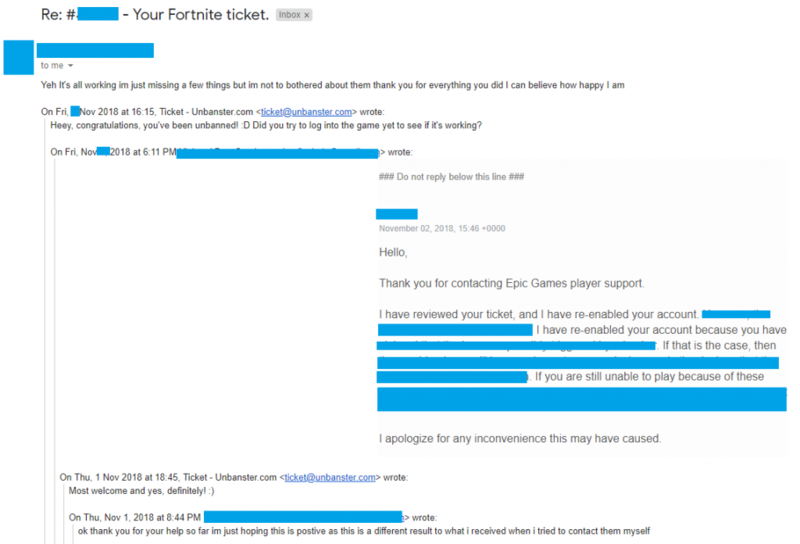 Successfully unbanned from Fortnite, despite the apparent waiting time! Permanent WoW ban changed to a 24-hour suspension! Permanently banned WoW account unbanned! 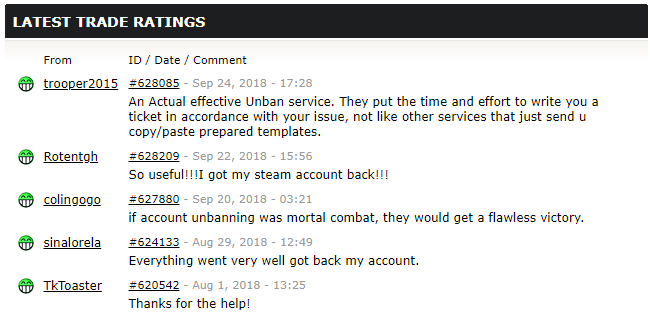 Fallen Earth unban after a permanent ban! 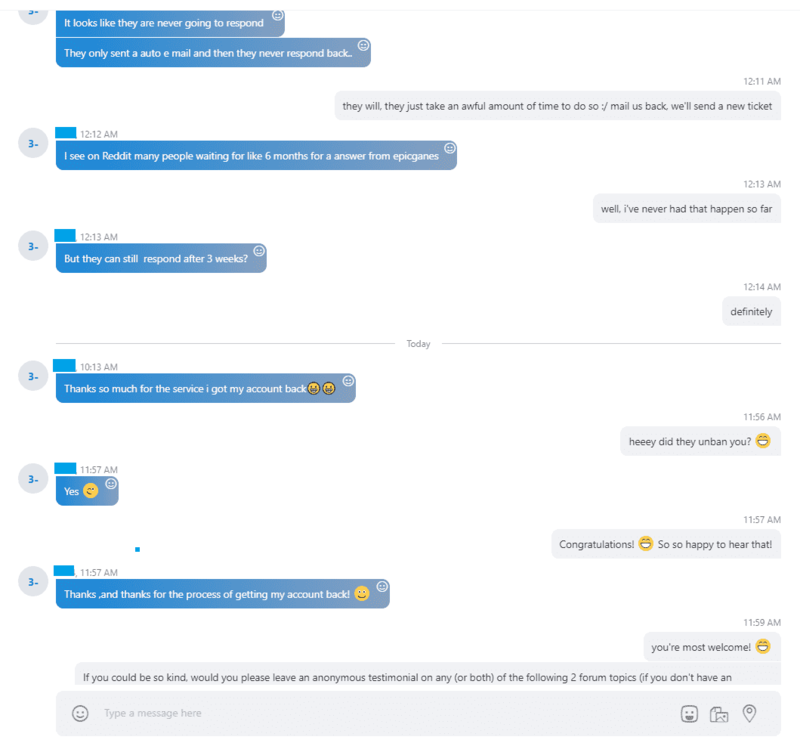 Want to get your account back too? Then hire the best unbanners in business to help you out! Yes, I want my account back!